Over the course of researching the history of the Hardy Boys in the UK, we have been lucky enough to have had correspondence with a number of individuals who had an involvement in the production of the British editions, at one time or another. HardyBoys.co.uk - Simon & Schuster UK have published the first four genuine titles in the "Undercover Brothers" series. Why did you then decide to stop publishing the new stories, and release a selection of Casefiles reprints instead? S&S Editor - Much of our publishing programme for Hardy Boys and Nancy Drew comes from the demands of our export markets. HardyBoys.co.uk - Do you still plan to release the "Line of Fire" and "Lethal Cargo" reprints in November for this series? S&S Editor - This has been shelved for now, but it possible that they will be published in the future. HardyBoys.co.uk - A similar scenario has occurred with the Nancy Drew "Girl Detective" series of books. However, the four Files reprints that were scheduled for release this month (August 2006) have been removed from Amazon. Why has the publication of these books been suspended, and will they eventually be released? S&S Editor - At present we are re-assessing our publishing programme for Nancy Drew titles. We are looking forward to the release of the film, this should really boost sales and introduce Nancy Drew to a whole new readership. 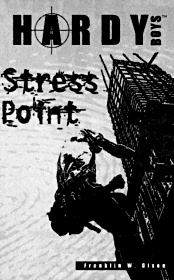 HardyBoys.co.uk - Why was the Pocket Books release of the Hardy Boys story "Stress Point" shelved in 2001? Did this have anything to do with the then recent occurrence of the 9/11 atrocity? (The story was set on a New York construction site). S&S Editor - This had nothing to do with the 9/11 atrocity, but, in retrospect it was probably good that we didn't publish it at that time. 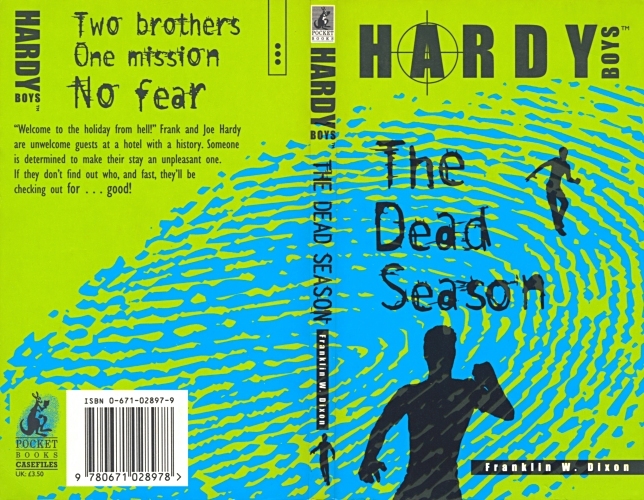 HardyBoys.co.uk - Finally, do you foresee any new Hardy Boys or Nancy Drew releases by S&S UK in 2007? 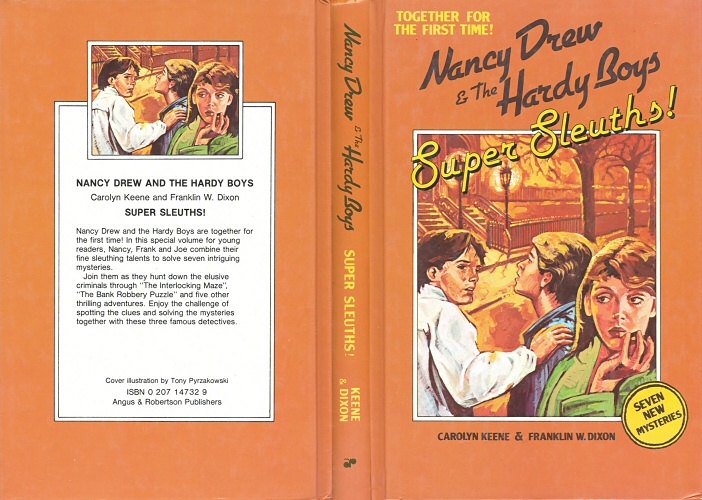 S&S Editor - We will be distributing the Hardy Boys in 2007 and of course again, due to the film Nancy Drew titles will make a comeback too! But as it turned out, any new UK Nancy Drew editions failed to materialise in the wake of the movie�(with the lone exception of the movie novelisation). Colin Howard was credited as the cover artist for the Casefiles editions produced by Pocket Books from 1999 to 2001. Colin Howard - I originally got the covers job through my contact at the BBC where I was producing covers for their Dr Who videos. When Margaret Clark left the BBC she contacted me upon her appointment at Simon & Schuster and asked me if I would be interested in coming down to London to discuss her Idea for the UK jackets for an updated Hardy Boys series of novels. Seeing as I was and still am a self-employed artist I was only too keen to look into another diversification/string to my portfolio and agreed to come and visit. Margaret was a very inventive creative designer to work with, and always managed to bring fresh ideas to the table when commissioning. When I arrived I was a little disappointed to find out after viewing some full colour jackets, that all that was required from me was a series of silhouettes of an updated youth/male image wearing combat trousers in a variety of action poses and sizes. Even a series of about 20 small consecutive images to give the appearance of an animated action when you flicked the pages. I went away and produced some black & white illo's on white paper with a Rotring Technical Drawing pen as requested and that was the sum total of my involvement with that series of books. All the fingerprint background overlays were already sorted out it was just that their Designer couldn't draw the human form and they needed to find someone to provide them with the all-action silhouettes! HardyBoys.co.uk - The first 11 books released by Pocket Books have your name on the copyright page (as well as the distinctive action-figure guys on the covers). However, for all the remaining titles released (starting with Mayhem In Motion), not only is your name missing internally, but new, more detailed silhouette-type images feature on the covers. Were you also responsible for that artwork? Colin Howard - No I only provided them with the initial "Block" silhouettes; it looks like the rest are photos that have been Photoshopped. Check out Colin's website: www.colinhowardartwork.com to see some more of his work. 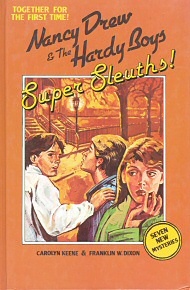 An Australian artist with a particular talent for caricatures, Tony Pyrzakowski produced the cover artwork for the Angus & Robertson hardcover edition of Supersleuths, which was published in 1982. 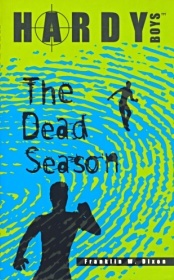 The illustration was loosely based on the cover of the US edition by Ruth Sanderson & Steven Assel. "Ah Yes. The 80's. Heady times indeed for illustration. There was so much work available for artists it was a veritable feast for us all. Just wonderful times. "I was commissioned to do many book covers by Angus and Robertson as not much photography was used at the time. The art director and I had a particularly good working relationship. A brilliant designer and conceptual thinker. He understood the publishing business very well and knew how to sell books with a good image. "He was open to ideas and the use of different illustration techniques to suit a particular cover. Many times he came up with an idea, a composition or design. Other times I came up with a concept, but most times we worked together. After discussing the project I returned a few days later with several rough sketches of our ideas with typography indicated. We then both decided on the best design and which illustration style was appropriate to use. "The Hardy Boys project was a particular favourite of mine. A creative and exciting book. I used friends as models taking many photographs in different poses around the garden and kitchen areas. We decided to have Nancy shown concentrating whereas the Hardy Boys were ready to solve. I had many illustration/ style techniques in my repertoire so we decided on a more painterly approach which added energy to the cover. I used acrylics and gouache to produce the painting feel. It took about a week to produce from concept to finished art. "My working relationship continued with Angus and Robertson for many years after, until the early 90's, working on different projects. From Whale books to Science Fiction to Autobiographies. It was a special creative time for me." These days, Tony runs a website where he creates caricatures to order; drawn in his unique style. His site can be found here: http://www.caricatures.com.au/. We would like to thank Tony for very kindly providing us with a wealth of background information on his Supersleuths cover.